Brisbane isn’t a big city and musical instrument and teaching perhaps aren’t very profitable business. I found a strings shop it’s located on the hill side and the view looking out was so beautiful. 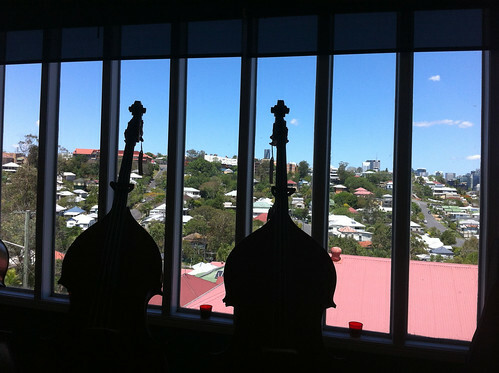 It would be ideal if someone was playing these double basses to decorative the scenic view behind it.